I'm back with a new Friday Finds post, though I wanted to add a quick note about some traveling essentials since I just got back from a trip this week. 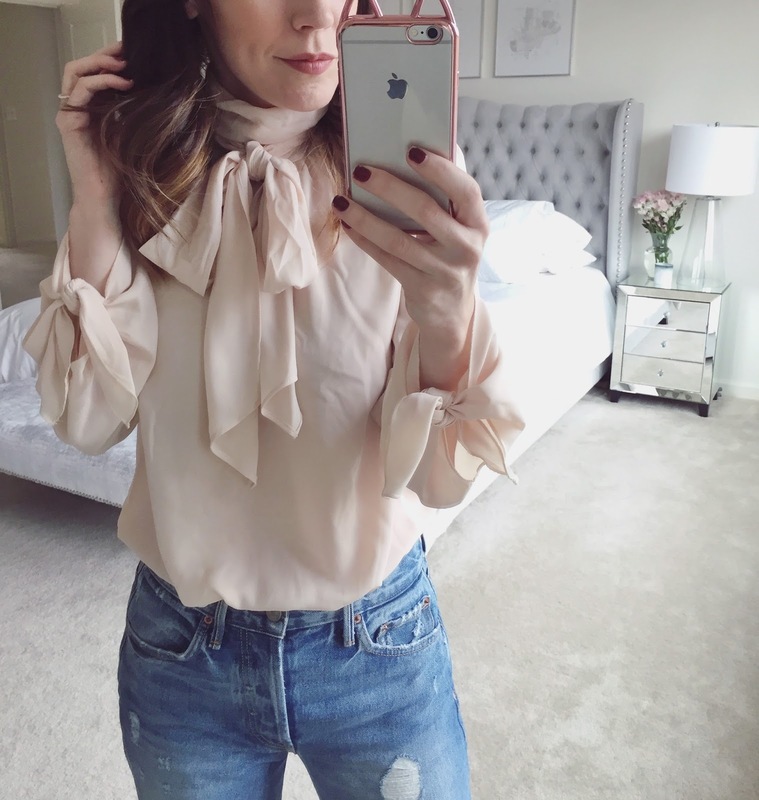 Here is the blouse that I am wearing in the above pic - I preferred the tie around the front of my neck which gave it a whole different look than the image online. Oh and how can we not talk about my iPhone case - it's less than $6! 1. First beginning with the bags I use to pack clothes in my suitcase - I swear by these (in size large) and they leave a ton of room in the suitcase for other items I want to bring. I also bought the toiletry bag, though I want to pick up a few others to help divide up my items into categories (this one and this one are next on my list to buy). 2. This was the tote bag I brought with me and it is SO durable. I have it in camo and regular green and used it as my work bag for yearrrrrrs. It can withstand almost anything! 3. I will not travel without this cream because it works wonders if I have a breakout, therefore I can't leave it at home. It has saved a few beginning blemishes from erupting fully (nothing worse than a huge breakout when traveling - ugh). 4. I picked up a few new beauty items this week that I will be reviewing soon - this Chanel quad (in 278) and this Dior foundation! 5. This moisturizer is on its way to me and my face cannot wait. I received so many tags, emails and private messages about it when it first launched, so I can't wait to see if I love it as much as the rest of the line. 6. Spring is still far off, but that doesn't mean I'm not already planning my wardrobe. These wedges are first on my list to buy because they sold out soooo fast last year. There are a pretty amazing dupe for them here. 7. Another pair of sandals that have been on my wishlist for years are these - they have such a cute boho chic vibe but also sell out insanely quick when the weather warms up. 8. One of my favorite skincare brands launched an essence and I just began testing it. I have high hopes since I love everything from them, but I will post more as soon as I have a full read on it. 9. I am going to start the process of decorating my office in the next few months and am already pinning some pieces that I love - this pillow and chair are at the top of my list!